230400 baud, 8 bits, 1 stop bit. Once accessed, the CLI will respond with version serial number, and be ready to receive a command. 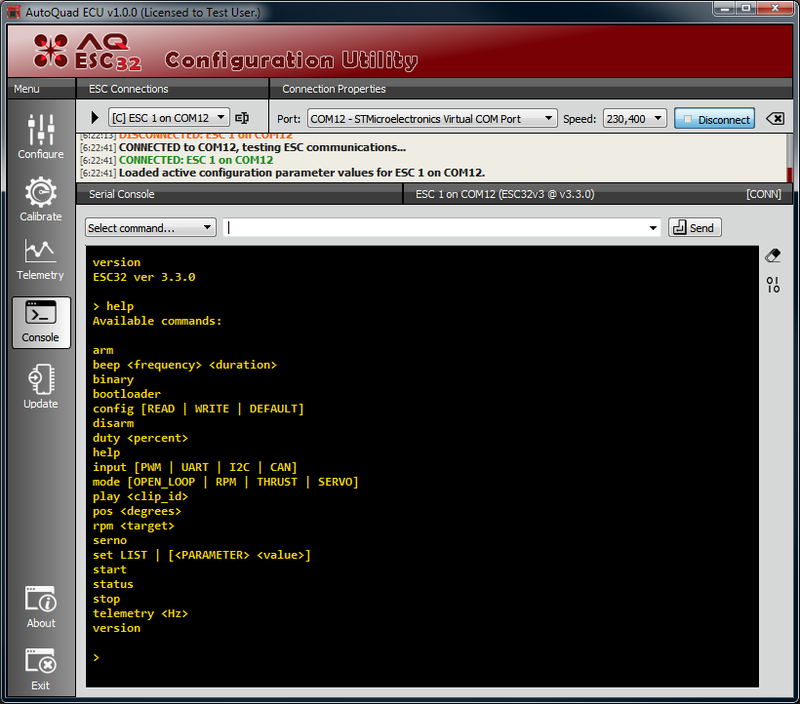 New: You can also use the CLI interface embedded in the AutoQuad ESC Configuration Utility. Get more info on our dedicated Wiki page. Some are simple commands, like arm, start, stop, disarm and some like “duty” or “rpm” needs to be stated with a value or parameter and value added. 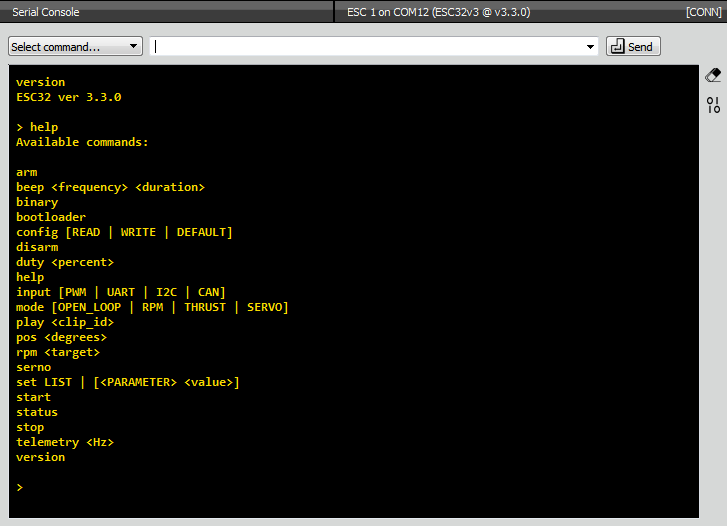 The ESC will respond if the Command is valid. “mode RPM” will set the esc to Closed loop RPM mode for this session. “input CAN” will change the input to CAN for this session. To change any parameter simply type “set” followed by the parameter name and its new value. Changes will be applied immediately, but wont be made permanent until written to flash memory. Once you have configured everything, you need to make the configuration permanent by writing it to flash memory or your changes will be lost when the ESC is powered off. This page was created on 11-Aug-15 by jussi. Last modified on 18-Aug-15 by MaxP.